Expect on-and-off showers throughout the weekend and on into next week as a series of storms move over Southern California. The rain is already causing problems in Carmel Mountain. 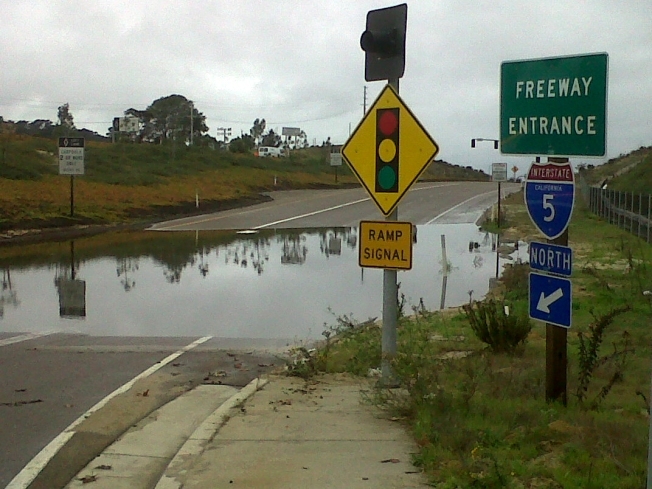 The onramp to northbound Interstate-5 at Carmel Mountain Rd will be closed for two days because of flooding, according to CHP. Rainfall totals will vary greatly from about a quarter of an inch by Sunday to an inch or more west of the mountain. In the mountains themselves we could see as much as three to five inches. Fritz Coleman has your forecast. The storms are warmer than most winter-like systems because most of the moisture originates in the sub-tropics. Temperatures will be in the upper 50s to mid 60s during the afternoons and low 50s at night. Because of the warm nature of the storms we are not expecting any snow in our local mountains and, in fact, it will probably only produce rain at the ski resorts at Big Bear and Wrightwood, at least below the 7500-foot level. It could produce the heaviest rain and might now move out until Thursday. 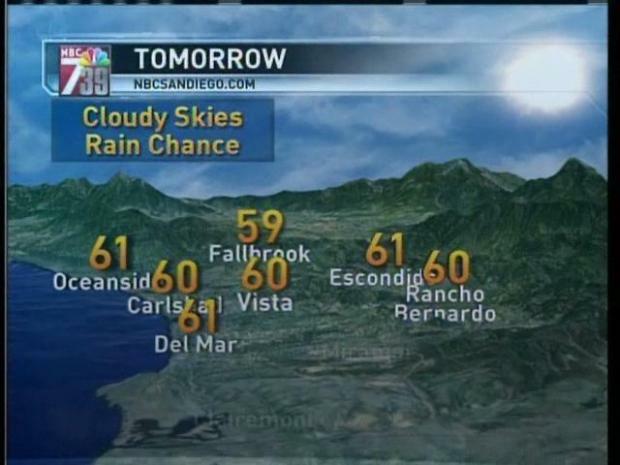 Next weekend should be dry, at least a lot drier than this weekend.